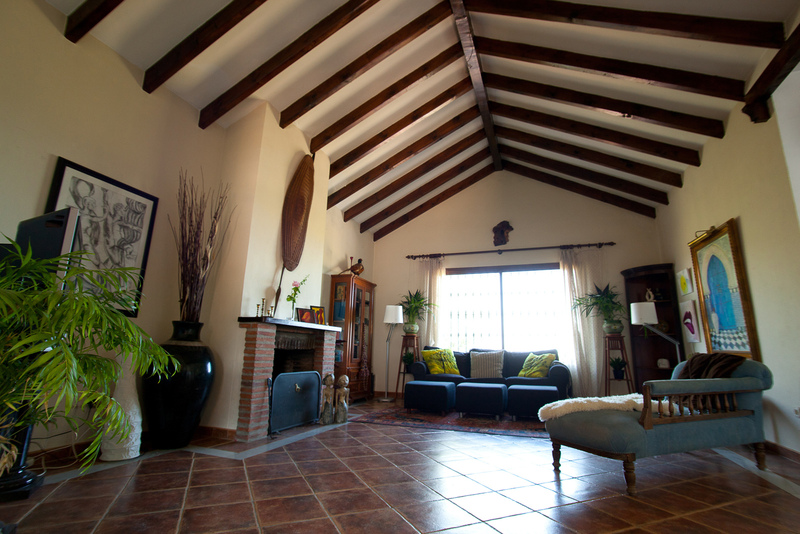 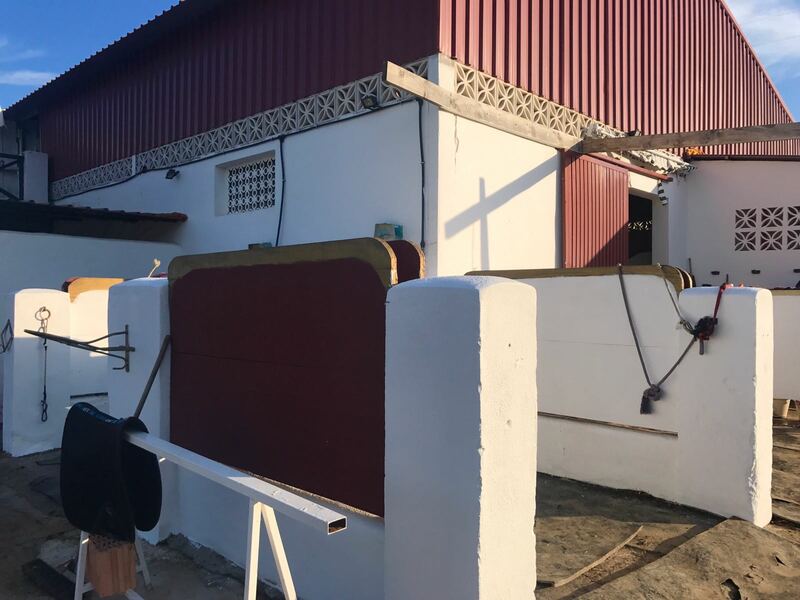 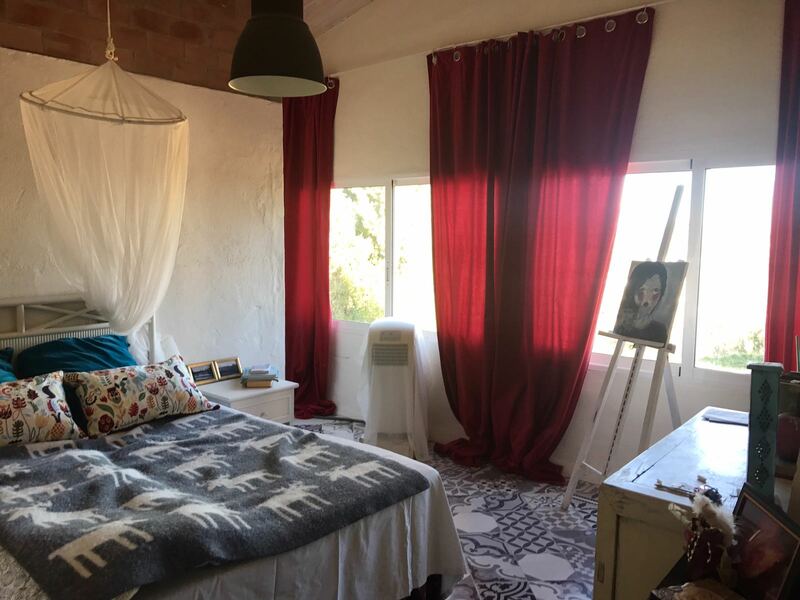 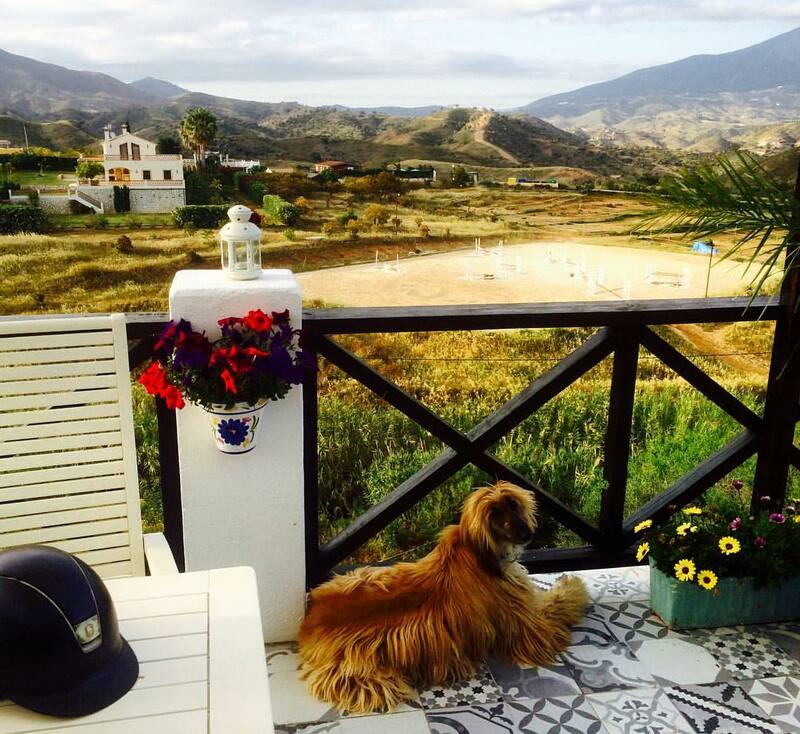 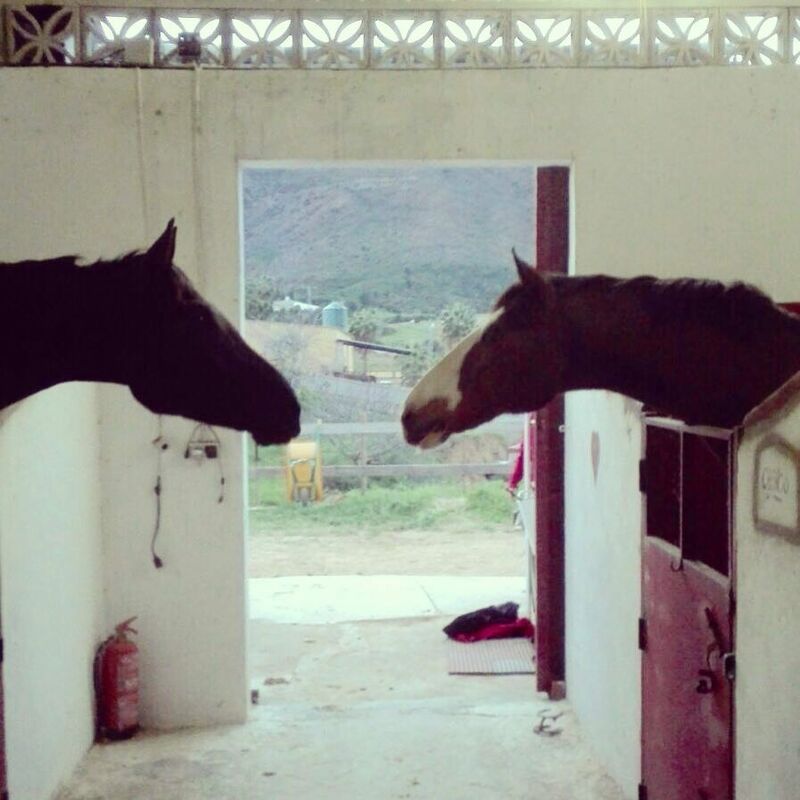 A rare opportunity to acquire a successful equestrian centre with lovely accommodation, only 15 minutes from the buzz of La Cala de Mijas with its beautiful sandy beaches. 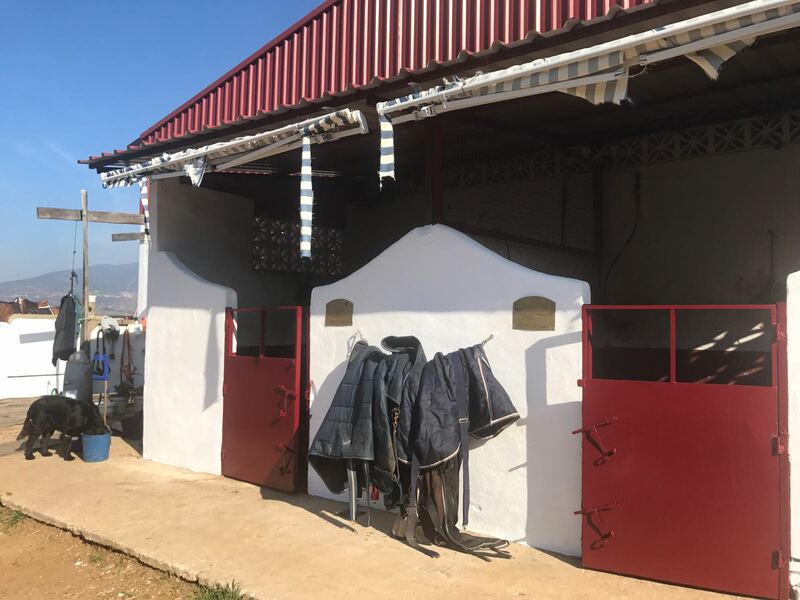 This is an active business with liveries in place. 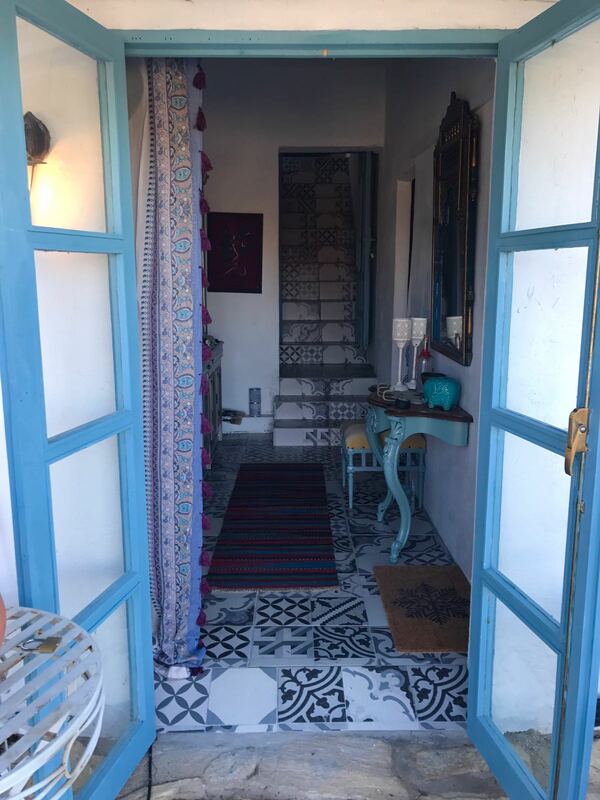 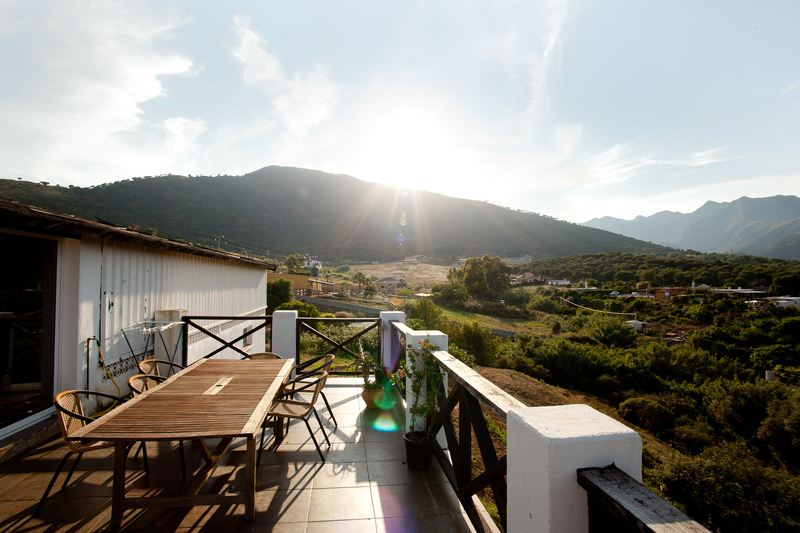 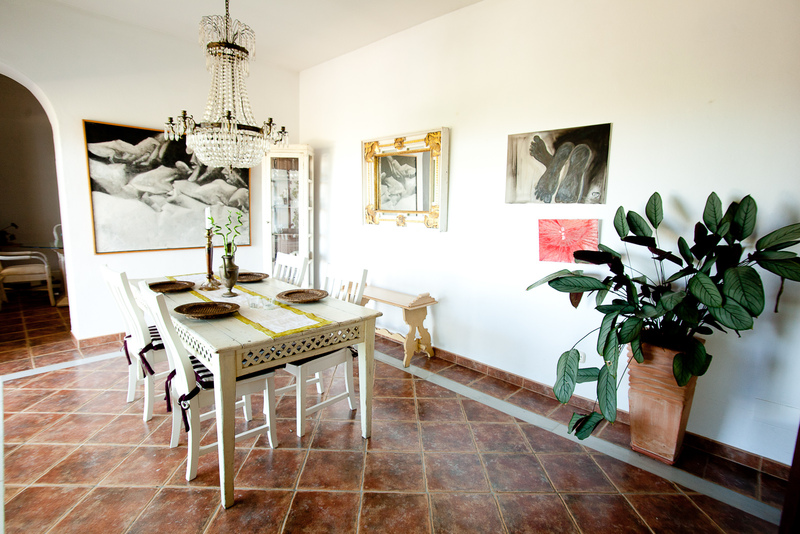 The main residence is a 5-bedroom, 2 bathroom, traditional Spanish Cortijo style villa featuring magnificent panoramic views to the Mediterranean Sea and mountains. 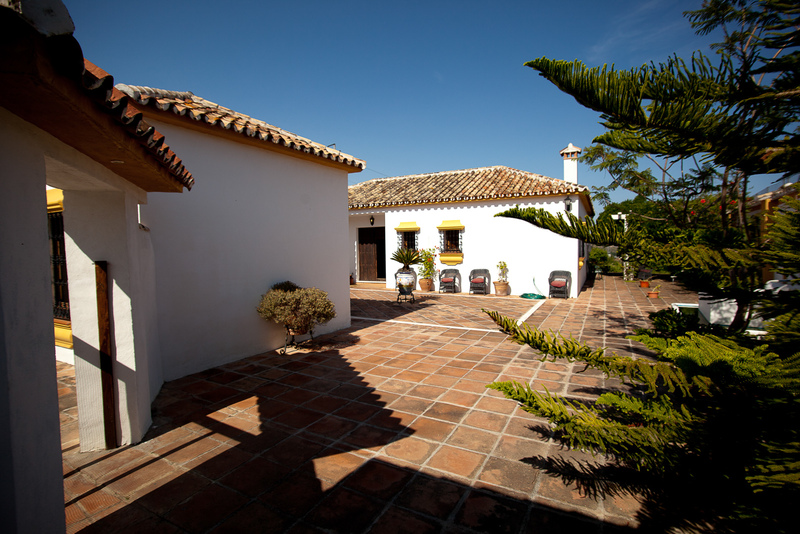 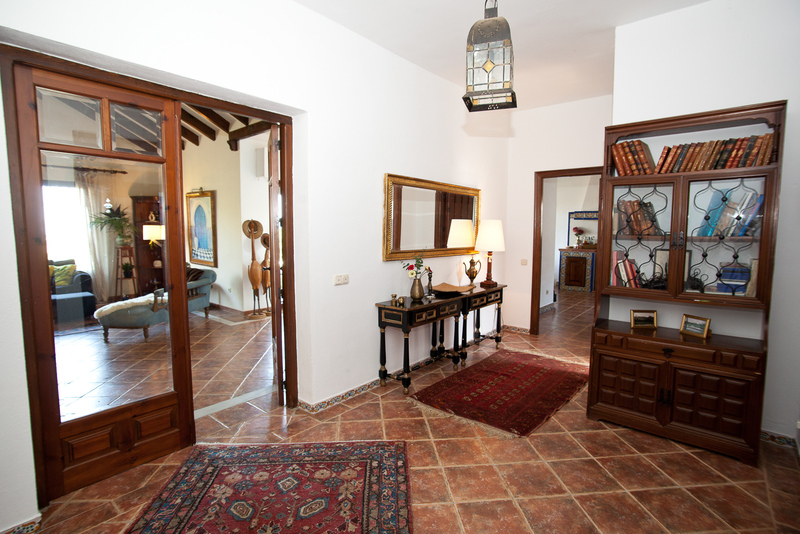 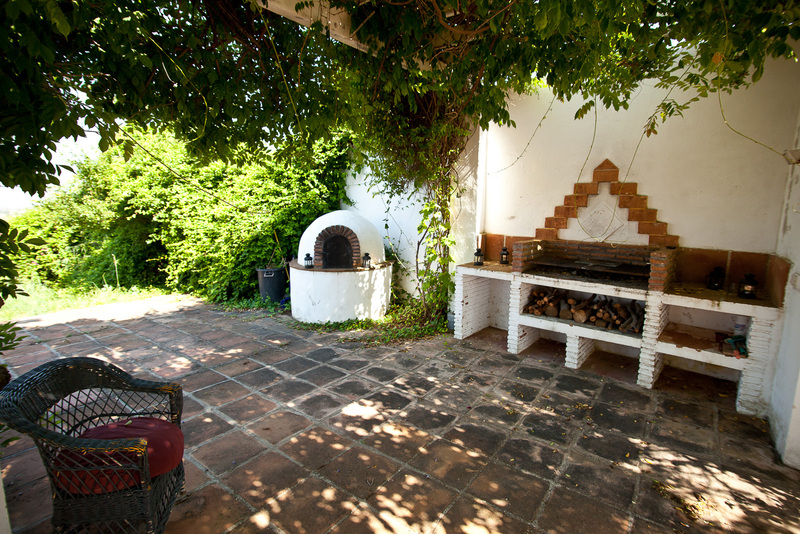 Set above and at a distance from the busy stable yard, the villa is accessed via a typical Andalusian court yard with a trickling center fountain. 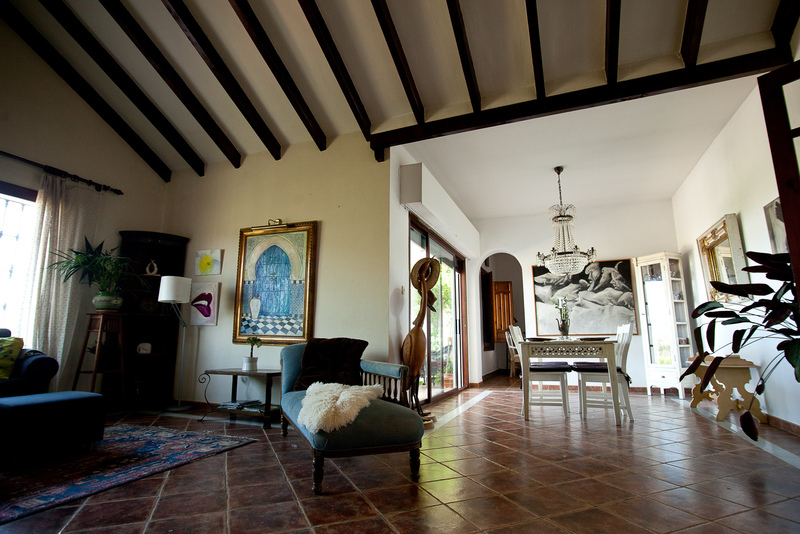 It opens into spacious interiors and a general atmosphere of tranquility. 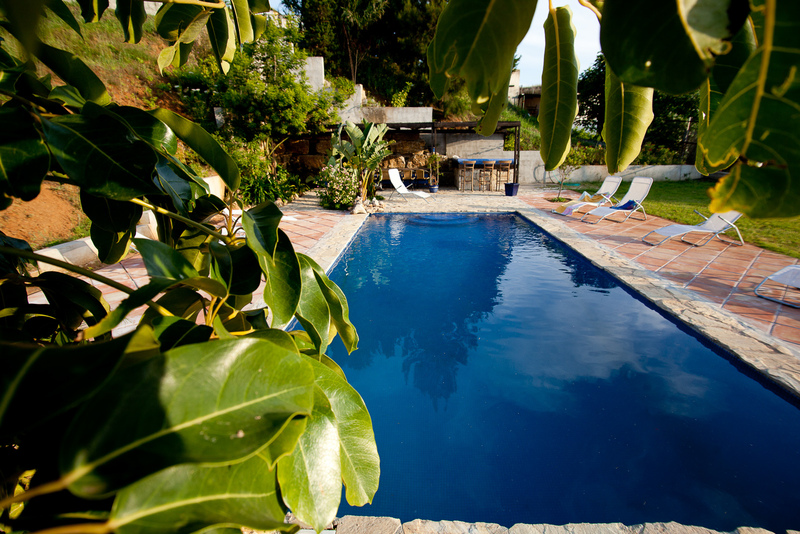 A charming stairway leads down to an inviting 4.5 x 9 meters pool. 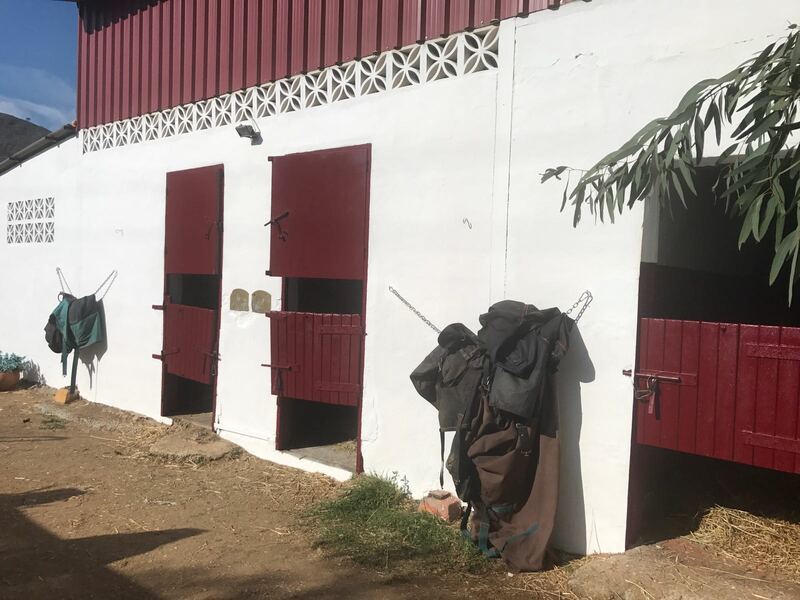 Overlooking the arenas, the stables comprise 13 loose boxes with a tack room and bar, 4 horse showers, a feed room and hay store. 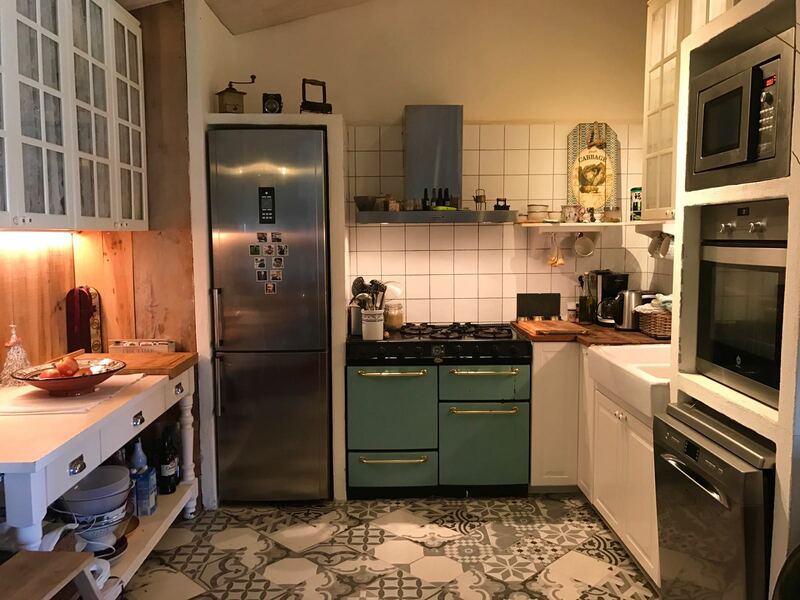 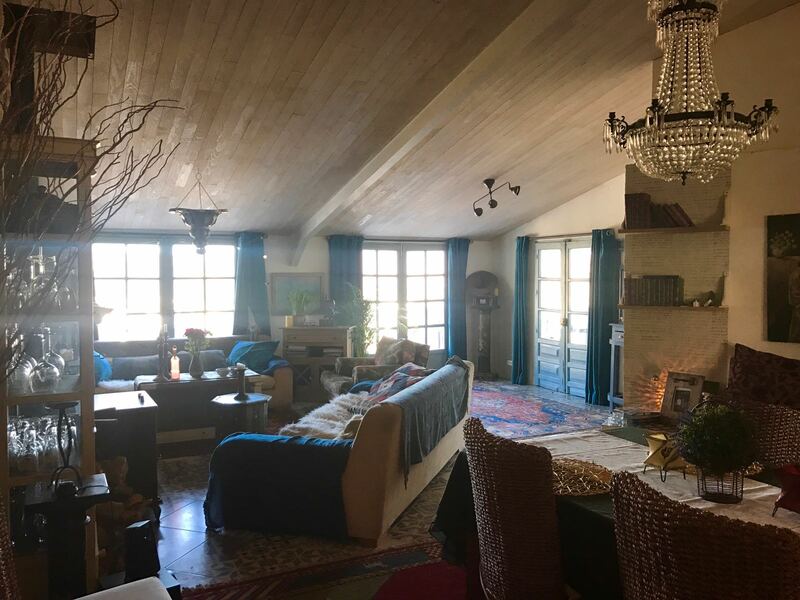 The property also features grooms’ quarters with 3 bedrooms, again with stunning views and a separate, delightful 5 bedroom apartment oozing character and with superb views. 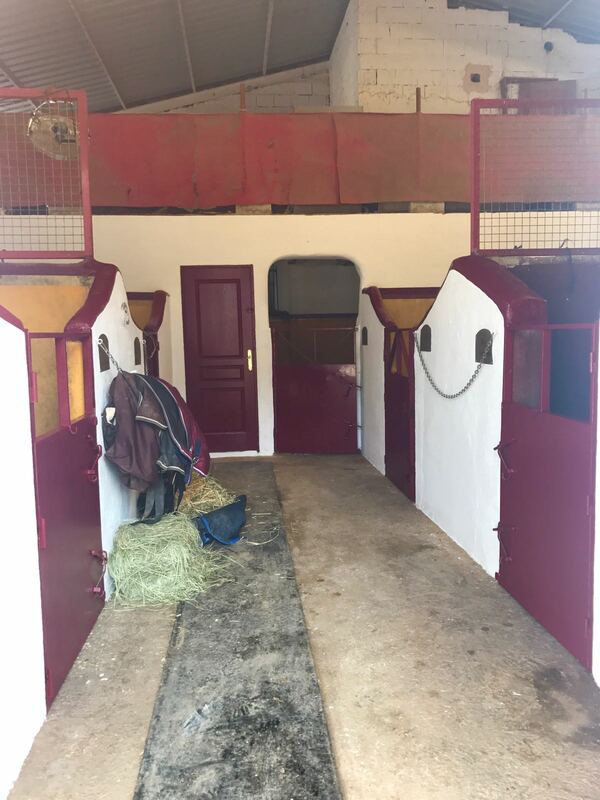 There is plenty of room for parking cars and lorries and the property is fully fenced. 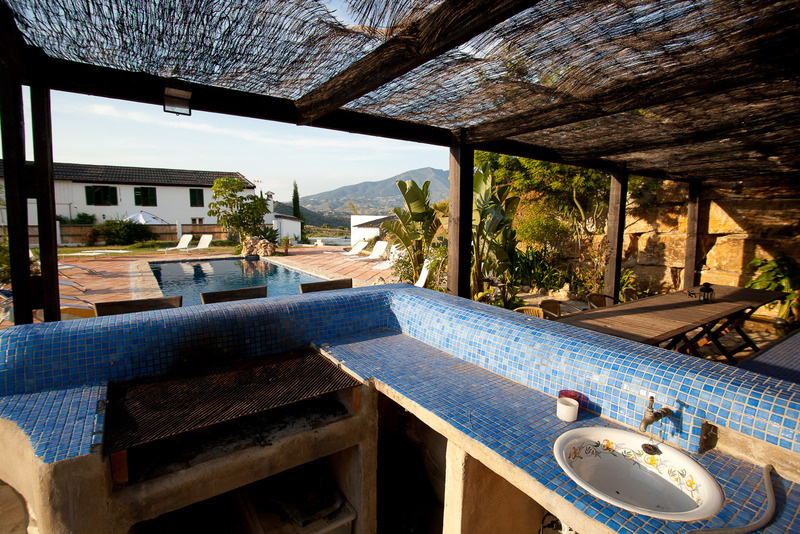 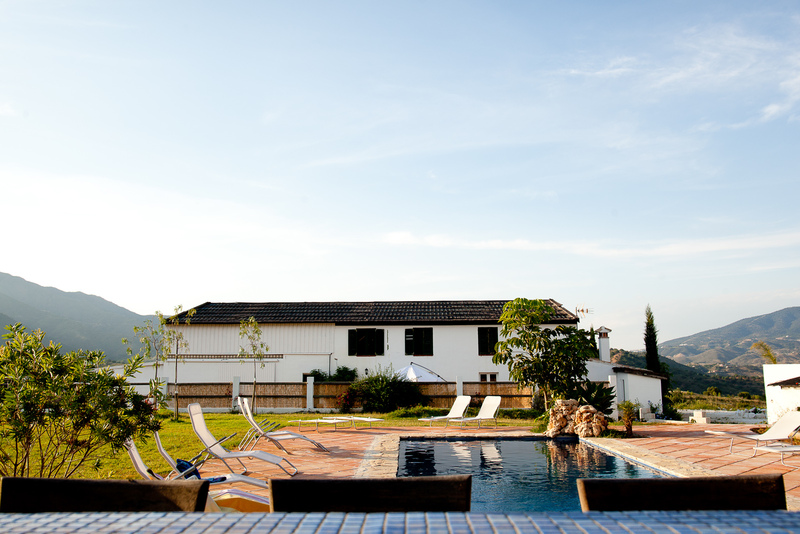 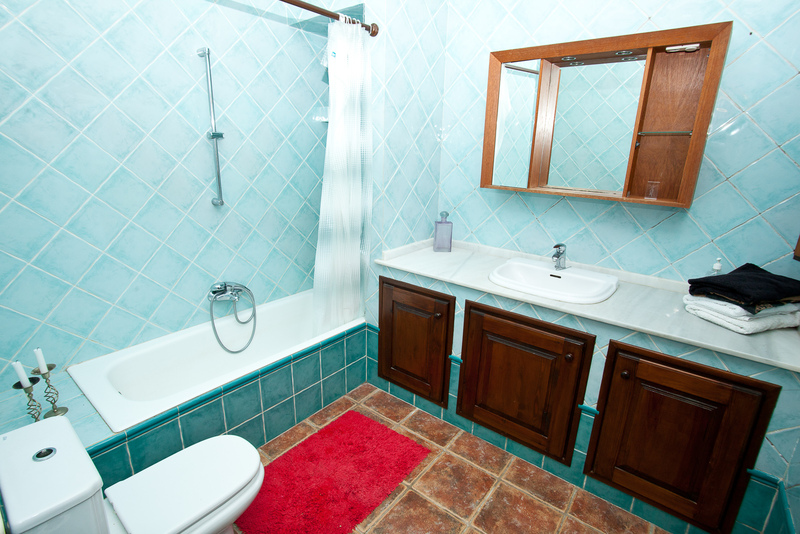 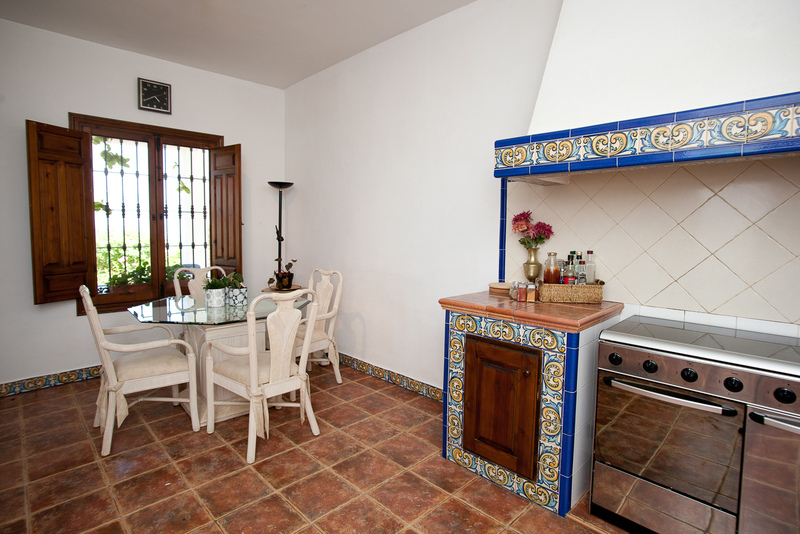 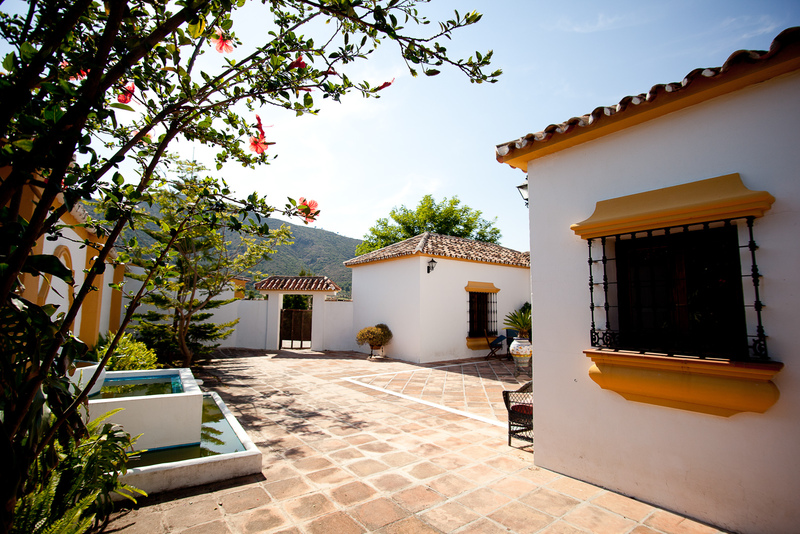 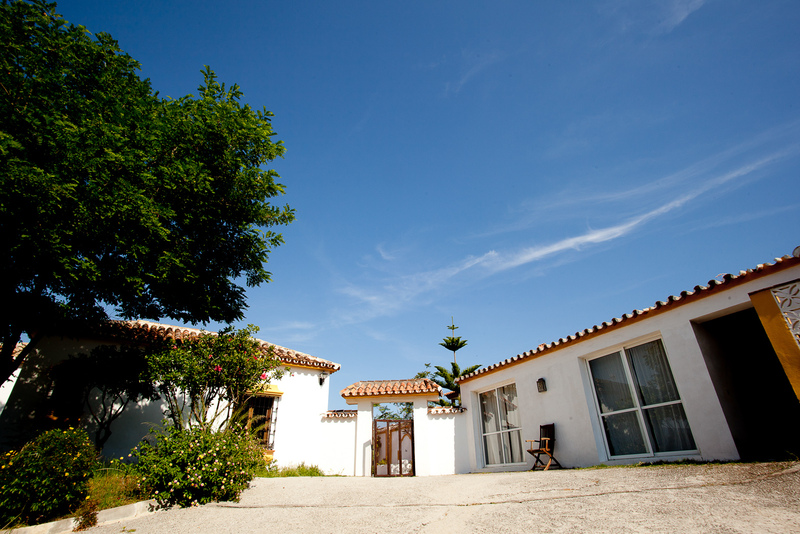 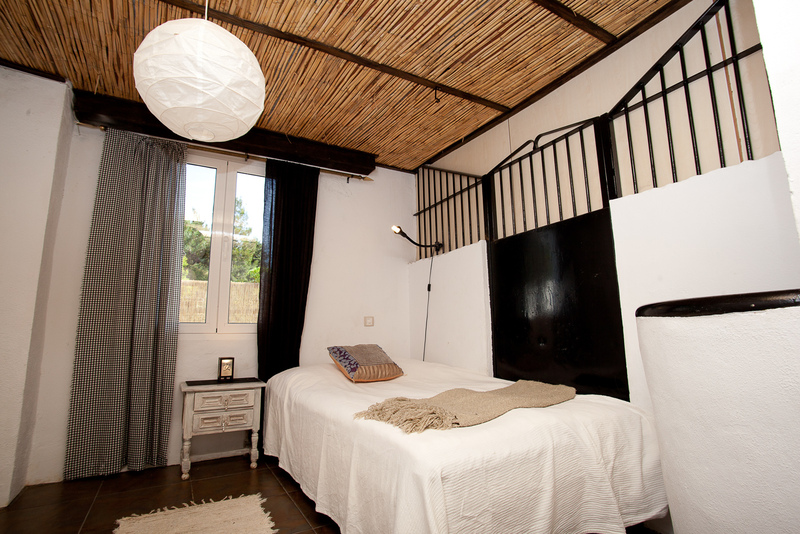 The finca has its own water supply and mains electricity. 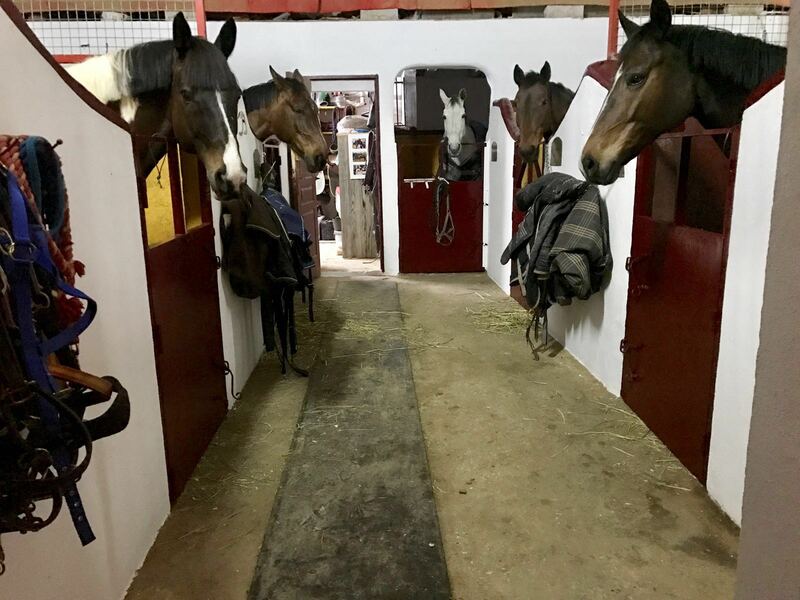 This has always been a business, and has had a successful B&B throughout the year, not necessarily linked to the stables. 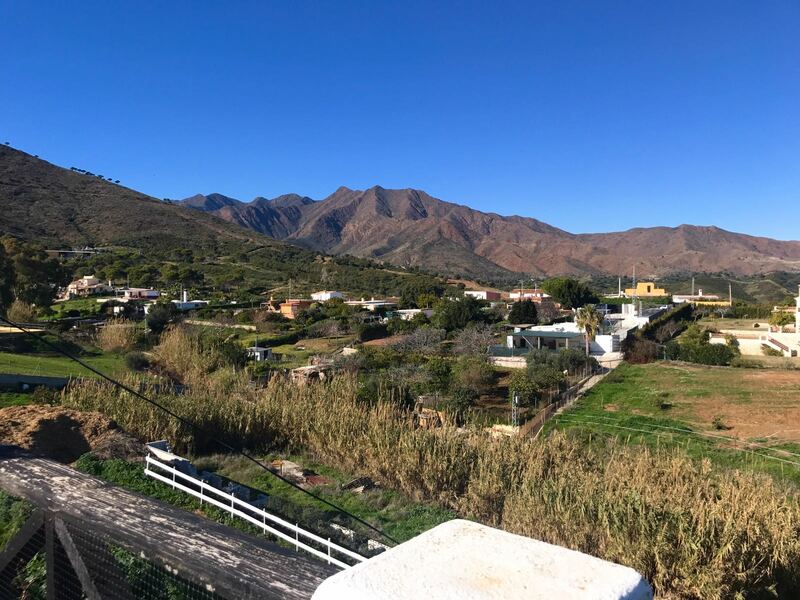 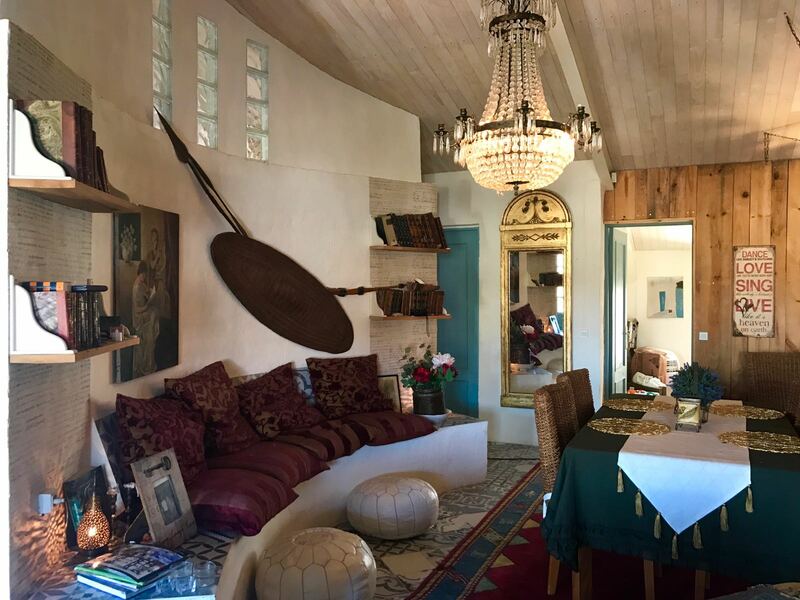 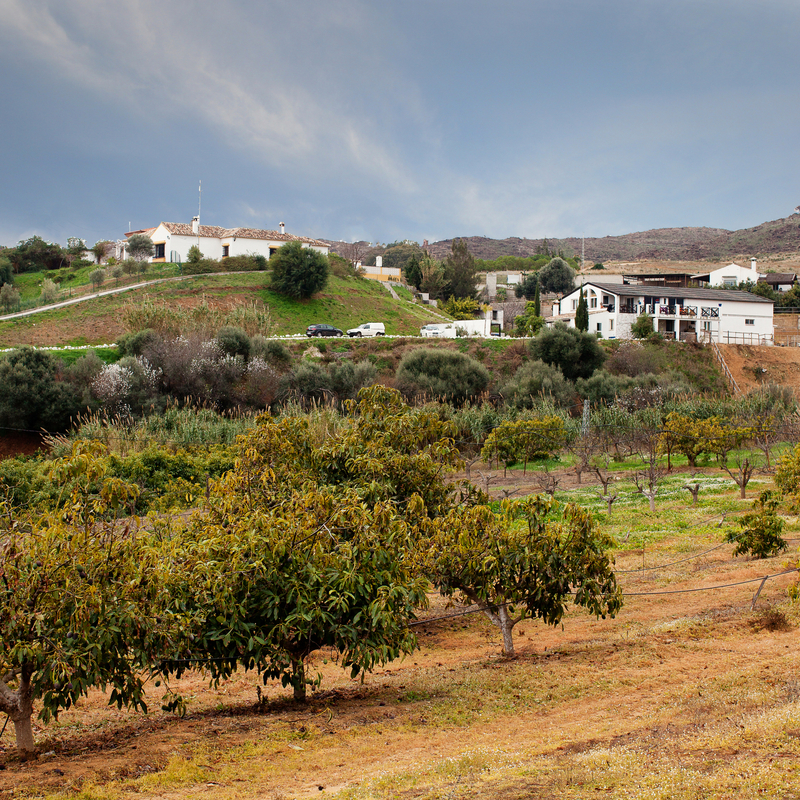 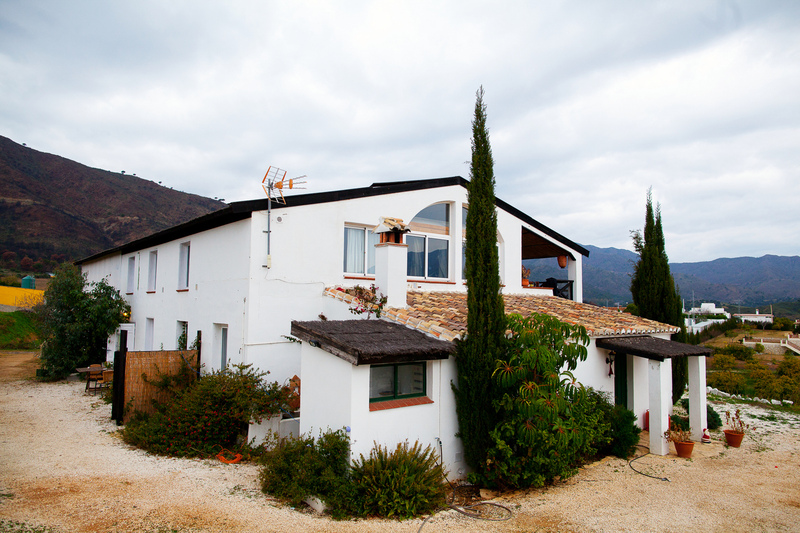 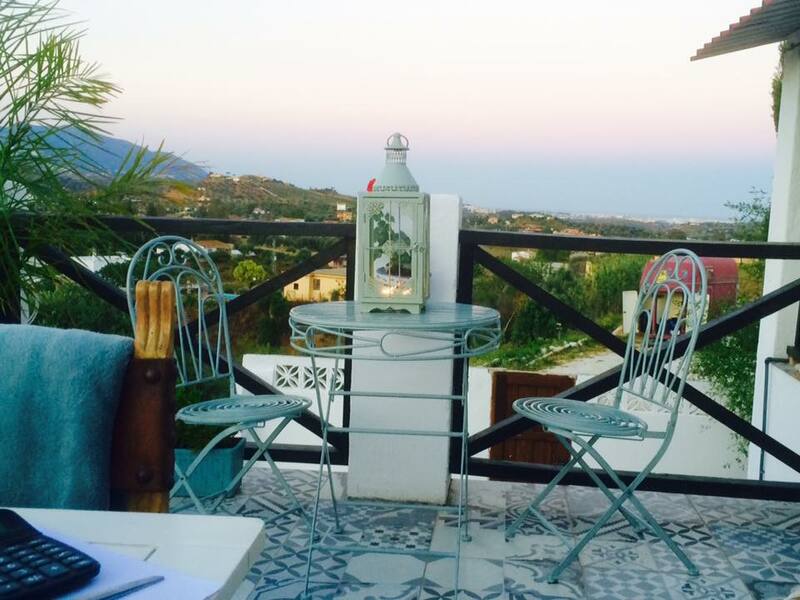 The property is very close to La Cala de Mijas, and there is plenty of hacking in the area, along the river and up in the mountains. 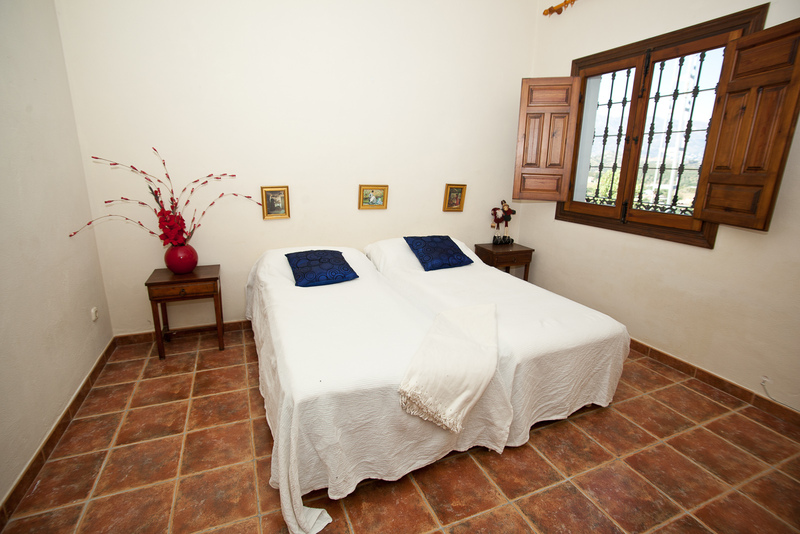 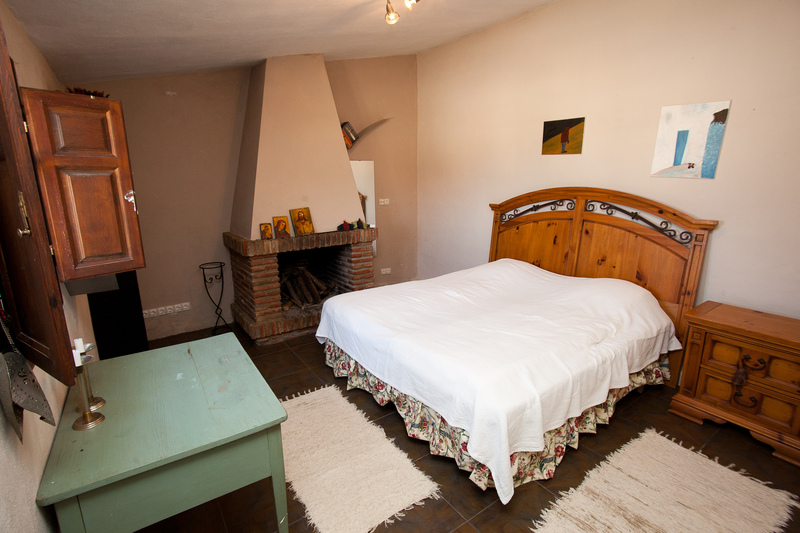 The whole are is very popular with both holiday makers and horse riders.